Battleship Game is a turn-based strategy naval game, extension to classic Battleship game, where ships, submarines and planes can move! 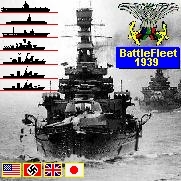 Battleship Game - WW2 Naval Strategy: the best choice among aircraft carrier games and submarine games. The Maginot Line was a line of concrete fortifications, tank obstacles and machine gun posts, together with other defences which France constructed along her borders with Germany and with Italy in the wake of World War 1. The Maginot Line refers to either the entire system or just the defences facing Germany while the Alpine Line is used for the Franco-Italian defences. The French believed the fortification would provide time for their army to mobilise in the event of attack and also compensate for numerical weakness. The success of static, defensive combat in World War I was a key influence on French thinking. The defenses were first proposed by Marshal Joffre, he was opposed by modernists such as Paul Reynaud and Charles de Gaulle who favoured investment in armour and aircraft. Joffre had support from P?tain and there were a number of reports and commissions organised by the government. But it was Andr? Maginot who convinced the government to invest in the scheme. Maginot was another veteran of World War I who became France's Minister of Veteran Affairs and then Minister of War (1928-1932). The line was built in a number of phases from 1930 by the STG (Section Technique du Genie) overseen by CORF (Commission d'Organization des R?gions Fortifi?es). The main construction was largely completed by 1935 at a cost of around 3 billion francs. The specification of the defenses was very high, with extensive and interconnected bunker complexes for thousands of men, there were 108 main forts (ouvrages) at 15 Kilometer intervals, smaller ouvrages and casements between with over 100 Kilometers of tunnels. The fortifications did not extend through the Ardennes Forest ("impenetrable" and "impassable") or along the border with Belgium because the countries had signed an alliance in 1920, by which the French army would operate in Belgium if the German forces invaded. When Belgium abrogated the treaty in 1936 and declared neutrality, the Maginot Line was quickly extended along the Franco-Belgian border, but not to the standard of the rest of the Line. There was a final flurry of construction in 1939-40 with general improvements all along the Line. The final Line was strongest around the industrial regions of Metz, Lauter and Alsace, while other areas were in comparison only weakly guarded. The German invasion plan of 1940 (Sichelschnitt) was designed to deal with the Line. A decoy force sat opposite the Line while a second Army Group cut through the Low Countries of Belgium and the Netherlands, as well as through the Ardennes Forest which lay north of the main French defenses. Thus the Germans were able to avoid assaulting the Maginot Line directly. Attacking from May 10, the German forces were well into France within five days and they continued to advance until May 24, when they stopped near Dunkirk. By early June the German forces had cut the Line off from the rest of France and the French government was making overtures for an armistice. But the Line was still intact and manned with a number of commanders wanting to hold out; and the Italian advance had been successfully contained. Still Maxime Weygand signed the surrender and the army was ordered into captivity. When the Allied forces invaded in June 1944 the Line was again largely bypassed, with fighting only touching a part of the fortifications near Metz and in northern Alsace towards the end of 1944. After the war the Line was re-manned by the French and underwent some modifications. However when France withdrew from NATO much of the Line was abandoned. With the rise of the French independent nuclear deterrent by 1969 the Line was largely given up by the government, with sections auctioned off to the public and the rest left to decay. The term "Maginot Line" has been used as a metaphor for something that is confidently relied upon despite being ineffectual. In fact, it did exactly what it was intended to do, sealing off a section of France, and forcing an aggressor around it. As originally envisioned, the Maginot Line was part of a larger defense plan, in which the attackers would meet with resistance from the French Army, but the French did not implement the latter part, leading to the loss of effectiveness of the Line. The Maginot Line specification of the defences was very high, with extensive and interconnected bunker complexes for thousands of men; there were 45 main forts (grands ouvrages) at intervals of 15 kilometres (9.3 miles), 97 smaller forts (petits ouvrages) and 352 casemates between, with over 100 kilometres (62 miles) of tunnels. Maginot Line Artillery was coordinated with protective measures to assure that one fort could support the next in line by bombarding it directly without harm. The largest guns were therefore 135 mm (5.3 in) fortress guns; larger weapons were to be part of the mobile forces and were to be deployed behind the lines. The Maginot Line fortifications did not extend through the Ardennes Forest (which was believed to be impenetrable) or along France's border with Belgium, because the two countries had signed an alliance in 1920, by which the French army would operate in Belgium if the German forces invaded. When Belgium abrogated the treaty in 1936 and declared neutrality, the Maginot Line was quickly extended along the Franco-Belgian border, but not to the standard of the rest of the Line. As the water table in this region was high, there was the danger of underground passages getting flooded, which the designers of the line knew would be difficult and expensive to overcome. There was a final flurry of construction in 19391940 with general improvements all along the Line. The final Maginot Line was strongest around the industrial regions of Metz, Lauter and Alsace, while other areas were in comparison only weakly guarded. In contrast, the propaganda about the line made it appear far greater a construction than it was; illustrations showed multiple stories of interwoven passages, and even underground railyards and cinemas. This reassured allied civilians. To avoid a surprise attack and to give alarm. To cover the mobilisation of the French Army (which took between 2 and 3 weeks). To save manpower (France counted 39,000,000 inhabitants, Germany 70,000,000). To protect Alsace and Lorraine (returned to France in 1918) and their industrial basin. To be used as a basis for a counter-offensive. To hold the enemy while the main army could be brought up to reinforce the line. There are several kinds of armoured cloches. The word cloche is a French term meaning bell due to its shape. All cloches were made in an alloy steel. Cloches are non-retractable turrets. * The most widespread are the GFM cloches, where GFM means Guettor fusil-mitrailleur - Rifle machine-gun. They are composed of 3 to 4 openings, called crenels or embrasures. These crenels may be equipped as follows: Rifle machine-gun, direct vision block, binoculars block or 50 mm (2.0 in) mortar. Sometimes, the cloche is topped by a periscope. There are 1,118 GFM cloches on the Line. Almost every block, casemate and shelter is topped by one or two GFM cloches. * The JM cloches are the same as the GFM cloches except that they have one opening equipped with a pair of machine-guns. There are 174 JM cloches on the Line. * There are 75 LG cloches (lance-grenade - grenade launcher) on the Line. Those cloches are almost completely covered by concrete, with only a small hole through which grenades were launched for local defence. * There are 20 VP cloches (periscopic vision) on the Line. These cloches could be equipped with several different periscopes. Like the LG cloches, they were almost completely covered by concrete. * The VDP cloches (direct and periscopic vision) are similar to the VP cloches, but have two or three openings to provide a direct view. Consequently, they were not covered by concrete.